After a dry 3 to 5 day period….some light snowfall is possible by Thursday…..Pattern transiting to Active…The 2nd week of March enters strong storm cycle with potential significant AR event in addition to several storms……The Dweebs see “The Potential” of 100+ inches of snowfall During weeks 2 and 3 of March….. Some light rain/snow mix is expected in town Thursday with possibly an inch or two above 9000 feet. It will be cooler and breezy Thursday. It appears that a decent storm cycle is possible to begin later next weekend, then on and off again with several storms that following week. That 2nd week of March looks wet. 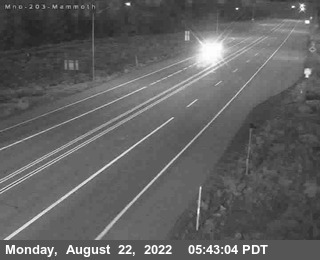 At this time, it looks to be snow, not rain over Mammoth Mt. The GFS continue the MJO strong right on through Phase 8. But look at what the ECMWF does…. It too has the MJO close to moderate into Phase 8. It may be that the GFS is handling the MJO better this time? Both appear to be of moderate strength and close to a 1 sigma. There is a lot of convection going on over the equatorial pacific with several channeled ARs developing early this coming week over the central pacific. What is interesting is that a strong tropical high over the far central pacific will build north into the mid latitudes with the EAJ extending east. There appears to be a gradual progression of the upper jet toward the central west coast in the 5 to 10 day means. The system on the 3rd (Thursday) will bring at least light amounts of precip as it has a small narrow hose connected to it. Although the main dynamics are to the north of us, there appears to be a lot of channeled moisture from the SW. No doubt this will be associated with high snow levels and strong gusty winds…. Down the road time wise, the ECMWF shows the upper jet sagging south during the following weekend of the 5/6th…thereafter, several opportunities for some good strong trofs with good AR connections to bring added moisture to the Central Sierra during the 2nd week of March…. Hang on….Winters best is yet to come. After a Beautiful Day Thursday…..Breezy, Partly Cloudy Conditions Expected Friday…Then a bit cooler Saturday and Sunday with Breezy Weather at times…..Upper ridge returns early next week…..
GFS is beginning to trend toward the other global models in agreement with the idea of rapid weakening around the dateline. However there is still some upper divergence associated with the MJO tracking a bit further east at this time. The Classic Westerlies Break Through is very unlikely. The Dweebs are now looking toward the next possibility of the next series of storms for the high country the 2nd half of March. The idea of a “significant” March 3rd storm is no longer in the picture and will more likely be pushed back to at least the 8th or 9th. Stay Tuned…….The Dweebs have you covered! Flat Ridge over California is amplifying just off shore creating NW wind over the crest and an increasing North-South surface gradient…..Thus it will be a cooler day today….Then Warming into the rest of the Week…Check the updates for the next significant storm…. The Dweebs had a look at the updated MJO phase spaces this AM.. Remarkably, both the GFS and the ECMWF are consistent in going their different ways . The MJO in its strength and ability to traverse through phase 8 is critical to the southern branch, its strength and persistence in undercutting of the west coast ridge next week. What we have here, are two of the more respected global models that are significantly different in this critical area. I would suspect that these models will come into better agreement by this weekend…..at least I would hope so…. As mentioned below….if the GFS happens to be correct somehow and that is a big if…we could experience a significant breakthrough of the westerly’s with beneficial rains over much of CA especially the southern half and south into Baja. However, several of the other Global models including the ECMWF, BOMM (AU), UKME (United Kingdom), JMAN (Japan Met), CMET (Canadian Met) are pretty much in agreement with the European model the ECMWF. If the majority are correct, this MJO should be began to weaken rapidly very soon! So stay tuned…The rapid weakening at the date line would lend to a weaker break through solution for the west coast…next week. With that said, the Dweebs are still expecting a decent storm about the 2nd/3rd of March. It is more about what happens after mid-week next week. Then run your curser over the various models, to see their respective MJO model solutions’. Big amplifying ridge down stream over the eastern pacific today in response to upstream low pressure system. For the Eastern Sierra it will be windy for the crest the next 24 to 36 hours then decreasing winds Tuesday night. February will go out drier than normal. However, the snow pack over the sierra is still at least normal for this time of the year…..We need another 8+ inches of water between now and April 1st…. temperatures will climb above normal toward the weekend with light winds. Highs in the 50s this week climbing to the low 60s by Thursday into Friday with cloudiness next weekend, breezy over the upper elevations Saturday and slightly cooler temps. I think that I can safely say that one of the strongest El Niño’s in several decades has been quite the dud from a water point of view for Southern California. The Dweebs can see through the end of this month now. Although March is still likely to bring a fair amount of snowfall to the Sierra, it is unlikely to be a much above normal snowfall year…. What happened to El Nino? Looking at the distribution of the anomalous warmth over the central and eastern pacific, and comparing the Winter of 98 with this winter, one can see that the warmest water is well west of where it was in 1998. The main axis of the warmth along the Equator For the El Nino winter of 1998 was on a west-east axis at about 105 west, or due south of Puerto Vallarta vs. this winter, where the axis is west-east, south of the Hawaiian islands. That is a displacement if several 1,000 miles west of the winter of 1998. Because of where the greatest convection is. a. Coincidently, the area of greatest convection seems to set up south and slightly east of the main upper low pressure system (mother low) that develops from time to time during a strong El Nino winters. (Not surprisingly these two anomalies appear to be coupled) In 1998, the upper low was not only further south but 1000s of miles east of this years position. In 1998 the mother low or long wave set up north of the Hawaiian Islands at about 40N +/- and 150 west. This winter because of where all the biggest SSTA anomalies are (warmest water) the mother low during El Nino enhanced episode’s, set up both north and well west of that position. Thus short waves leaving the mother low weaken, are further north with less energy able to punch under the PNA block. A good part of the hemispheric pattern was working, but Southern CA and Central Ca faired unusually drier then what is normally expected for such a strong event,. Scientist’s have always used the Nino 3.4 region. I bet they will now look a lot harder on where the distribution of the heat is, as well as how much heat there is, in the Niño 3.4 region. And to coin a favorite lyric from George Harrisons, “My guitar gently Weeps” With every mistake we must surly be learning!…..Still My Guitar Gently Weeps. 2. Additionally, I have to say that the ECMWF has done a much better job in capturing the details of the Air-Sea coupling of El Niño in their MJO Phase space. Even today, looking at the GFS (NCEP) phase space, the MJO shows very strong well into phase 8, (past the dateline), compared to the ECMWF where it pretty much dies there. A successful MJO should continue strong like the GFS is showing, well east into the eastern pacific enhancing the convection all the way. However, realistically, it can’t now because the SST’s are too cool! So the MJO forecast from the NCEP is probably bogus and the ECMWF is probably correct. Thus the big break through of the westerlies in early March will likely be limited as best…..and not likely to last for a week to 10 days like many storm cycles associated with a strong El Nino. With that said, we’ll still get storms. But not the way we would like. 3. My good friend Tom Cylke, retired Lead Forecaster with the NWS has always told me that the West Coast ridge is the normal Simi permanent feature in the Winter. That is pretty much why Southern Ca is a desert. In the winter, it is a by-product of the Hudson Bay low which is the true thermal anchor over the North American Continent. Its upstream counter part is modulated by adjustment waves over the pacific and the extension and contraction of the East Asian Jet. El Nino’s subtropical jet is one key to an eastward displaced Hudson Bay low and an excessive wave length that often times weakens the west coast ridge and open the storm door over Southern and Central CA. So this semi permanent ridge weakens from time to time, due to many reasons. 4. In my opinion, this El Nino was all that its was cracked up to be. It was certainly one of the strongest on record and now weakening and still strong! That fact has nothing to do with the amount of rain Southern CA got and gets in the future, this Winter/Spring. And…..The west coast ridge was never the issue either. The screaming message here is that during the periods of ENSO Forcing…The location of classic Signature Upper Low was/is too far west and north compared to forecasts by the CPC January through March. It needed to be at least 1500 miles SE of its position. 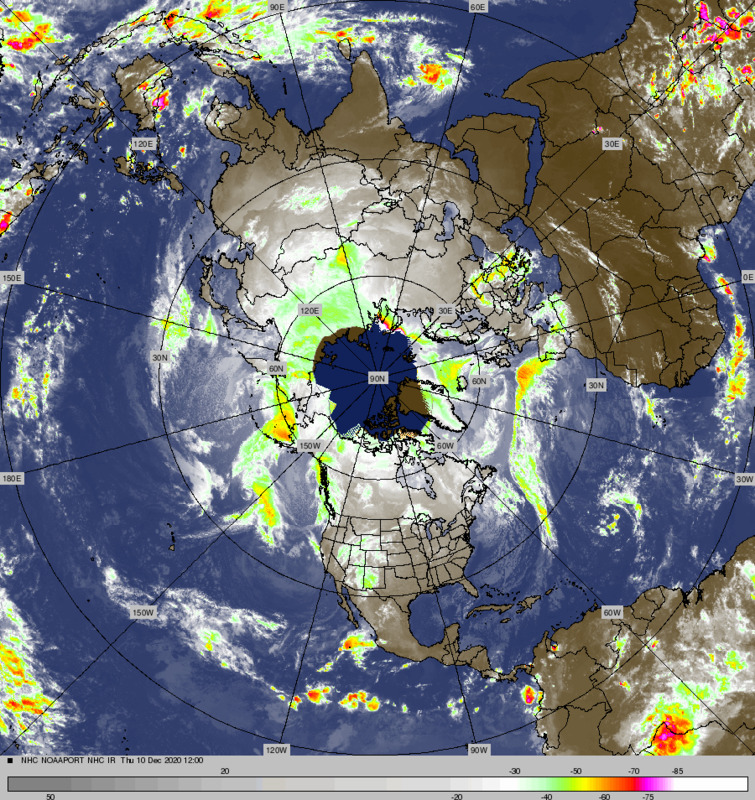 Its been out near the Aleutians instead of 1500 north of Hawaii. That is because the warmest tropical waters developed too far west! The Dweebs hope for at least a normal winter for So-Cal! Next Winter according to Scripps, ….It’s LA NINA! !